Looking to get outside in the Anchorage area and don't have 12 hours to spare to trek into the wilderness? Well, this might be the list for you. We recently asked the community to tell us about favorite after-work hikes, and people wrote us about a variety of trails. Some are flat. Some very steep. Some a bit long. Some pretty short. Here's a list of nine readers' favorite summertime trails and their reasoning behind their picks, plus three staff recommendations. Responses have been edited for clarity and length. Of all the places I have hiked and mountain raced, the one I do the most is Blacktail Rocks in Eagle River. This hike starts at the Mount Baldy parking lot, located at the top of Skyline Drive. The roadway changes names several times as it winds toward the trailhead. Blacktail Rocks is accessed by summiting Mount Baldy and then continuing on the path to the jagged peak behind it. The trail is about 6.5 miles round trip with about 3,000 feet of elevation gain. There aren't any areas along the trail that are very technical, making it an easy and accessible hike if you have a little time to spare. I personally love to hike it at a time that puts me on the peak as the sun is setting. The Knik Arm turns gold when the sun approaches the horizon. As an added bonus, you can also get some awesome views of the flag at the top of Baldy (when it is there) on the way back down. I use the summers to run mountains practically every day, and this hike takes me about 75 to 90 minutes round trip, depending on conditions. I would guess for the average hiker it is a two- to three-hour hike. Perfect for when your time and/or brainpower are limited. The trail is accessible from the Rabbit Lake parking lot on Canyon Road. The trail is easy to follow, and any increase in your heart rate is due to exercise, not anxiety about navigating the scramble that the front of the mountain offers. It's about a 2-mile hike, and takes about an hour or two depending on how fast you're moving. Also reachable from the Rabbit Lake parking lot on Canyon Road. 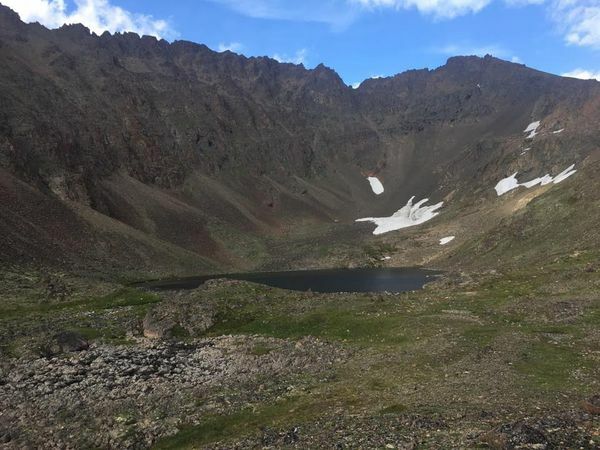 It's less crowded than Glen Alps or Prospect Heights and gives you direct access to the backside of Flattop or Peak 2, a nearby mountain peak. The trail offers both a direct, more vertical route, or a series of switchbacks if you want to take your time. The views are great and you can get up and down in an hour or two. Easy access from Peters Creek trailhead. Gorgeous views. Soon after starting down the Peters Creek trail, you can veer to the left to take a steep, 3-mile round-trip trail up to Bear Point (also sometimes referred to as Bear Mountain). Or, continue farther down the Peters Creek trail (walking about 2 miles total) and take a trail in the woods on the left. This trail is an easier climb with a gentler slope than the one to Bear Point. It takes you up to a saddle between the two mountains. So, the Bear Point trail is steeper but very quick to access and provides great views of Wasilla, Knik Arm, etc. 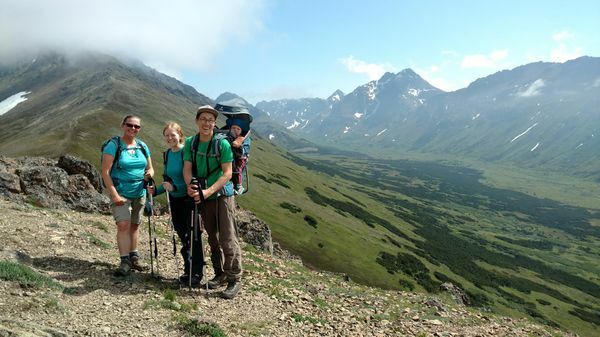 The Eklutna hike is a little longer but not so steep. More pleasant, in my book. 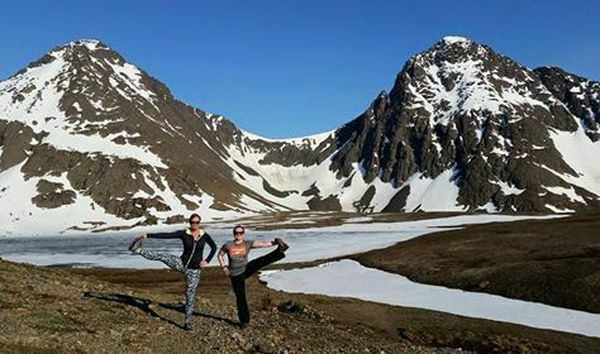 (The round-trip hike to Mount Eklutna is about 5 or 6 miles. If you have more time to spare, you can do a loop: up to Bear Point, over to Mount Eklutna and back down again — or the other way. There's very little elevation gain so it doesn't feel strenuous; however, it is a longer hike. It's about 8 miles round trip, so give yourself some time. But the views of the lake at the end are so worth it! My favorite hike is not actually a hike but a walk. Potter Marsh is at the southern end of Anchorage just down the hill from Rabbit Creek Road. 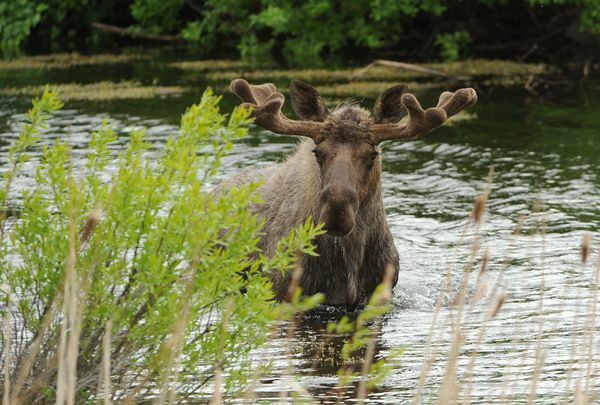 It has about a half-a-mile boardwalk that goes through the marsh and depending on the season you can spot anything from moose to salmon to eagles. It takes about 20 minutes walking slowly to do the whole boardwalk. 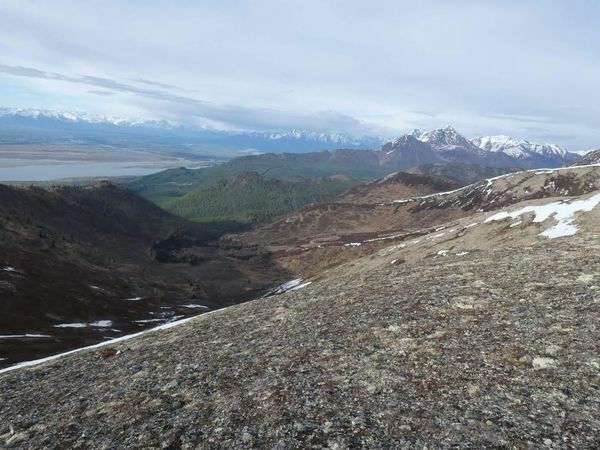 The Alaska Department of Fish and Game describes it as "the most accessible and scenic wildlife viewing areas in Anchorage." Also one of the few "hikes" in Anchorage that is wheelchair accessible. The hike begins at the Glen Alps trailhead and ends at a beautiful mountain lake below O'Malley Peak. Many people will ride their mountain bikes along the first part of the trail and hike the remaining portion. There is a bike rack at the beginning of the Hidden Lake trail to lock up your gear. I went on this hike in early June and there was still some snow. Great opportunity to see moose and sheep. I have done this hike several times and you run into very few people along the way. Little O'Malley is a great alternative to Flattop. The trail departs from the Glen Alps parking lot, crosses Campbell Creek and heads straight up O'Malley Gully. 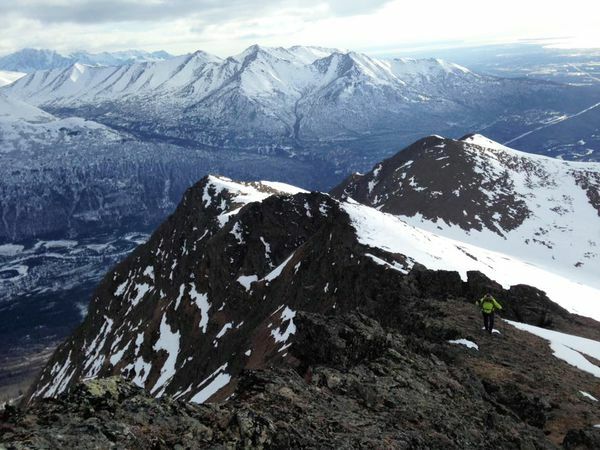 The peak affords great views of Anchorage and the Chugach Mountains. The best part, however, is glissading down the gully on the way back. Watch out for rocks! The Football Field (or the Ballpark) in 2015. (Photo by Paxson Woelber). 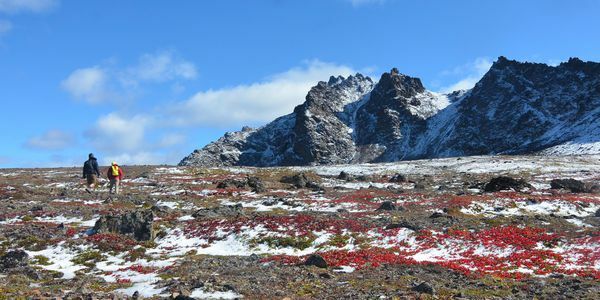 The tundra plateau northwest of O'Malley Peak goes by many names, including "the Ballpark," "the Ballfield" and "the Football Field." All of the names hint at one thing: It's relatively flat — though the approach certainly isn't. From the Glen Alps parking lot, walk half a mile to the Powerline Pass trail, turn right (southeast) and walk down the hill briefly before taking the signed cutoff to the Middle Fork Loop trail. This smaller trail switchbacks down into the Campbell Creek cut bank, crosses the creek on a bridge, and climbs up the other side of the valley. Instead of following the Middle Fork Loop trail around the base of O'Malley, head 1,000 vertical feet straight up the maze of steep braided trails toward the prominent pass between Little O'Malley and False O'Malley Peaks. The ballpark lies just over the pass, and provides many options for on-trail and off-trail exploring. Follow the winding trail toward the base of O'Malley Peak to a striking, dark tarn called Deep Lake. From the pass at the eastern edge of the Ballpark look down into Black Lake and the Williwaw Lakes drainage. 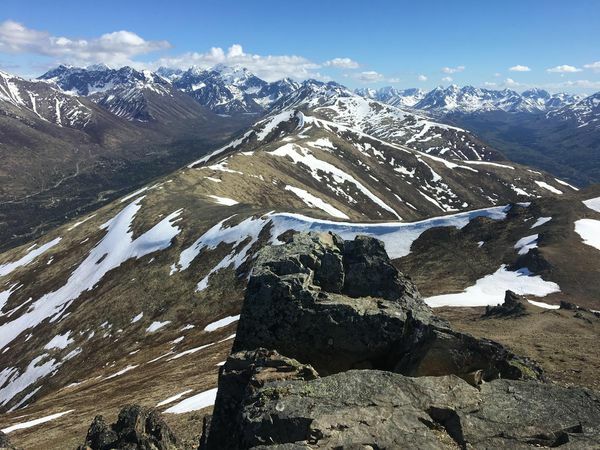 An unnamed 4,000-foot knoll on the northeast corner of the Ballpark provides unobstructed panoramic views from Anchorage to the Alaska Range, Talkeetna Mountains and all the way back into the Chugach Mountains to Williwaw Peak. Or just strike across the boulder-dotted tundra, which is covered in shallow terraces of blueberry bushes and small, gurgling streams. 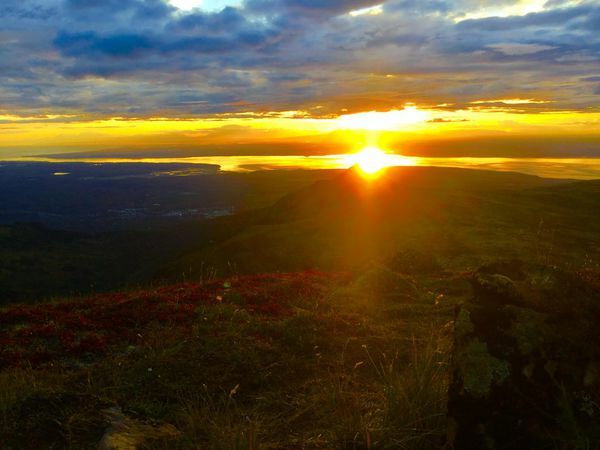 Best of all, the entire Ballpark is west-facing on the edge of Chugach State Park, which makes it one of the best after-work spots for Alaska summer sunsets. This hike takes about three to five hours for fit hikers with basic backcountry experience. 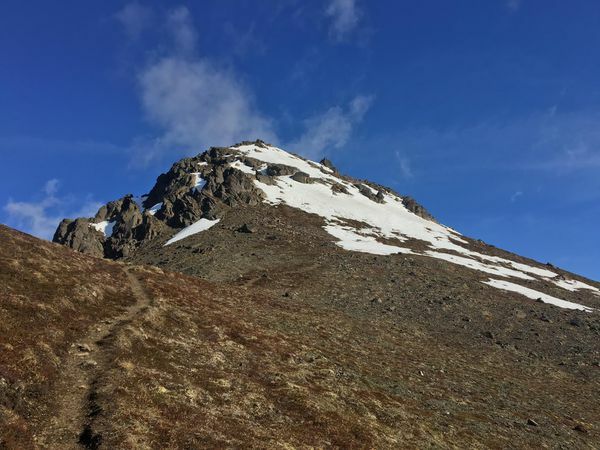 An after-work hike that's worth reserving for a Friday, but shouldn't be missed, is Alyeska's North Face Trail in Girdwood. It's not too long or strenuous, and there's beer and food at the Bore Tide mountaintop restaurant when you're done (kids love the fries). There's no hike down either — a free tram ride returns you to Alyeska Resort where the trail starts. 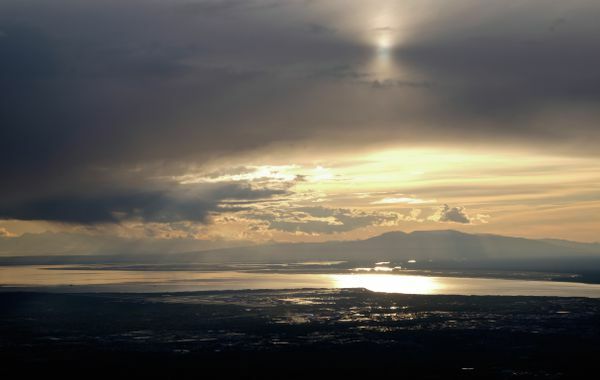 The trail, with awesome views of Cook Inlet, weaves 2.2 miles up 2,000 vertical feet. It's largely bug-free shortly after the snow melts and in early fall. But you'll want bug dope and maybe pants for protection in the thick of summer. We've hauled our kids as young as 3 and Grammy, 67, up the mountain in less than two hours. 11. 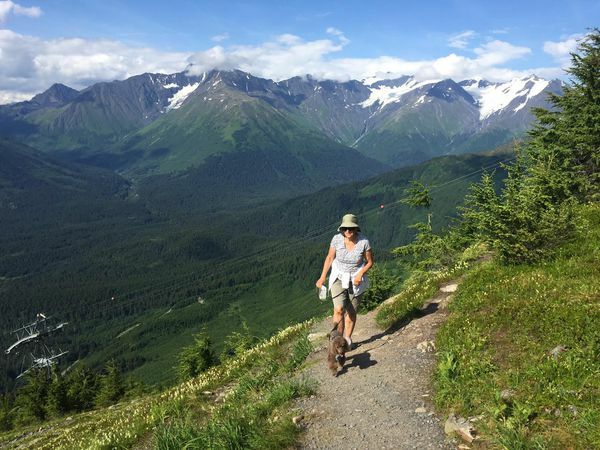 Mount Magnificent — Vicky Ho, deputy editor/online and author of the ADN column "Cautionary Tales"
Perfect for working out the stress of the day, this trail starts in the woods with a few steep sections leading up to Mile High Saddle in Eagle River. From here, you gain a new perspective on familiar locales: Mount Baldy, Blacktail Rocks, the North Fork Eagle River Valley. Follow the trail past the saddle, and you're rewarded with an up-and-down ridge walk fit for a mountain run or slow meander — all the better to drink in the views. Intrepid hikers can strive for the summit, which involves a good scramble. But if you're pressed for time, turning around at Mount Tucker (often confused for the summit, since there's sometimes a flag placed there) or any other point along the ridge will do just fine. This hike is 2.5 miles one way and usually free of big crowds, kept away by limited parking at the trailhead. Respect the neighbors, be prepared for wind, and enjoy the wide-open views along the way. What I like most about this area: You can choose your own adventure. My favorite adventure: From the area where you pay your $5 to park, head straight up the mountain. It's a steep climb, and you'll want to be sure to steer clear of no trespassing signs. Walk the ridge to Mount Gordon Lyon, head down the saddle and up to Rendezvous Peak, then finish by making your way back to the parking lot. This takes about three to four hours. If you don't want to do a loop, you can wander around the valley. Or head through the valley and either up Gordon Lyon to your left or Rendezvous to your right. Also, there's good blueberry picking here later in the summer. Keep in mind: The gates on Arctic Valley Road closes at 10 p.m. Also, the military occasionally closes the road up to the trailhead for training. Did we miss your favorite hike? Share your recommendations in the comments.